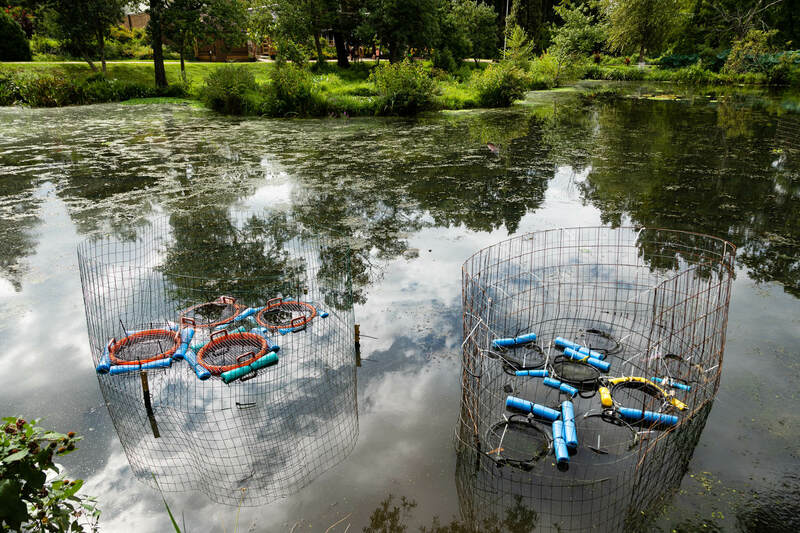 Baskets holding mussels from separate projects from Anacostia Watershed Society, left, and U.S. Fish and Wildlife Service float in the water at Kenilworth Aquatic Gardens in Washington, D.C.
Maria Spottswood, a Maryland Master Naturalist trainee, counts out juvenile alewife floaters. "I think of them as being so uncharismatic that they kind of have a charisma of their own," said Matt Ashton of DNR. Jorge Bogantes Montero addresses a group of Anacostia Watershed Society staff and volunteers helping with the mussel project. 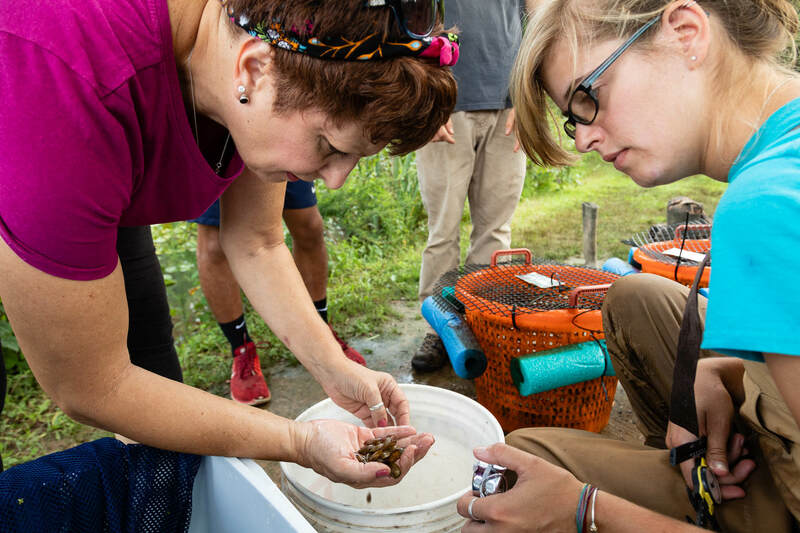 Karen Culotta, a Maryland Master Naturalist trainee with Anacostia Watershed Society, and Maddie Koenig, an environmental educator with the nonprofit, process mussels at Kenilworth Aquatic Gardens. 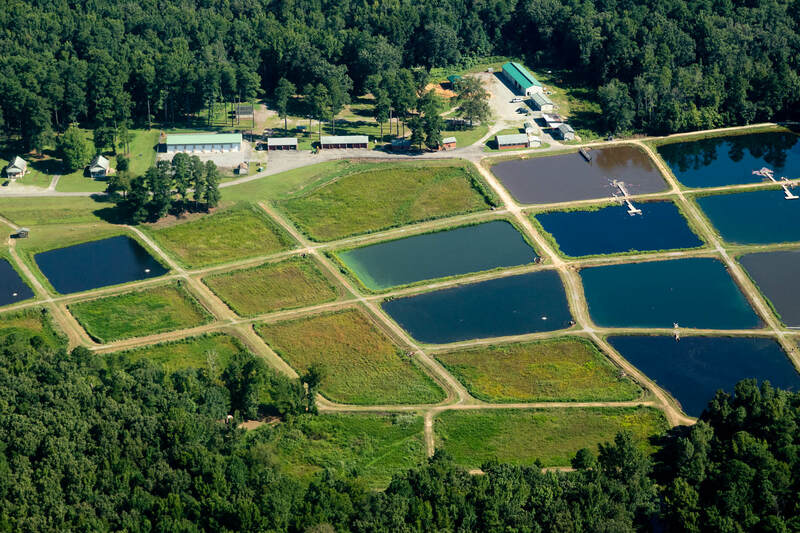 Harrison Lake National Fish Hatchery is seen from the air near Charles City, Va., in August. The Anacostia Watershed Society sent five female mussels to the hatchery, yielding several thousand juveniles. After years of oysters being hailed as the filter-feeding, pollution-fighting mollusk of choice for restoration in the Chesapeake Bay, freshwater mussels are benefitting from a recently elevated profile as efforts designed to boost their numbers are getting off the ground. Among the mussel's talents are the ability to eat harmful E. coli bacteria and remove nutrients and sediment from the water column. While a mussel can only filter around 10 gallons of water a day—compared with 50 gallons for an oyster—it’s still no small feat, especially when you consider all the upstream places a mussel can go that an oyster can’t because it requires brackish water. “When people hear that their local ecosystem maybe can have a benefit as well, they take a liking to that,” Ashton said. With this summer’s heavy rains, the filtering power of mussels has been on clear display in portions of the middle Chesapeake Bay like the Magothy River in Maryland. There, the dark false mussel has had an explosive year because it prefers the lower salinity caused by the influx of fresh water. Paul Spadaro, president of the Magothy River Association, told the Baltimore Sun that the last big spawning year for dark false mussels in 2004 increased water clarity from six inches to ten feet. But, mussels have declined in the region due to threats from development, increased erosion and the construction of dams that block the migration of fish that mussels depend on to host their larvae. That relationship was not apparent decades and centuries ago when many dams were built. With the decline of once-common fish like the American eel, mussels have also suffered. Dam removals like the recent breach of Bloede Dam on the Patapsco River can open up miles of habitat upstream, benefitting both migratory fish and mussels. Ashton is part of a more direct effort on the Patapsco River in Maryland to reestablish a mussel called the eastern elliptio, which he said has been absent for probably between 50 and 100 years. This summer, DNR and U.S. Fish and Wildlife (USFWS) transplanted 300 adult mussels into the Patapsco, with plans to transplant about 1,000 in total. Ashton said the plan for the second phase of mussel restoration on the Patapsco is to release hatchery-raised mussels that are more suited to the tidal portion downstream, where the habitat is slower moving and silty. 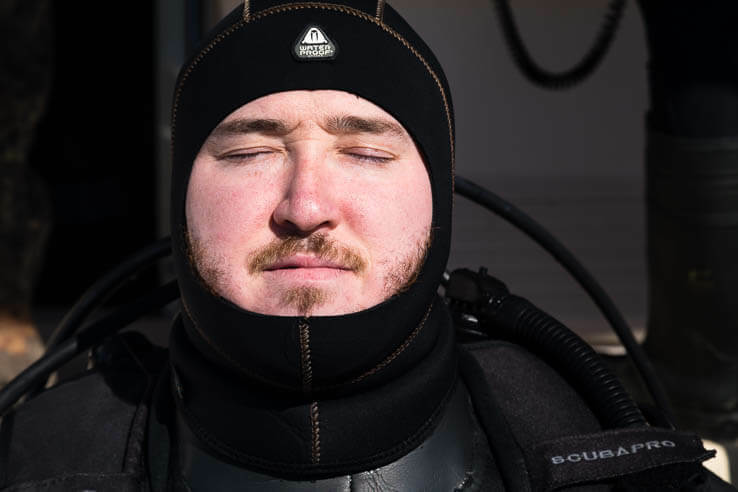 The quest to bring thousands of baby freshwater mussels to the Anacostia River began in earnest with a chilly snorkeling session at Buzzard Point in D.C. 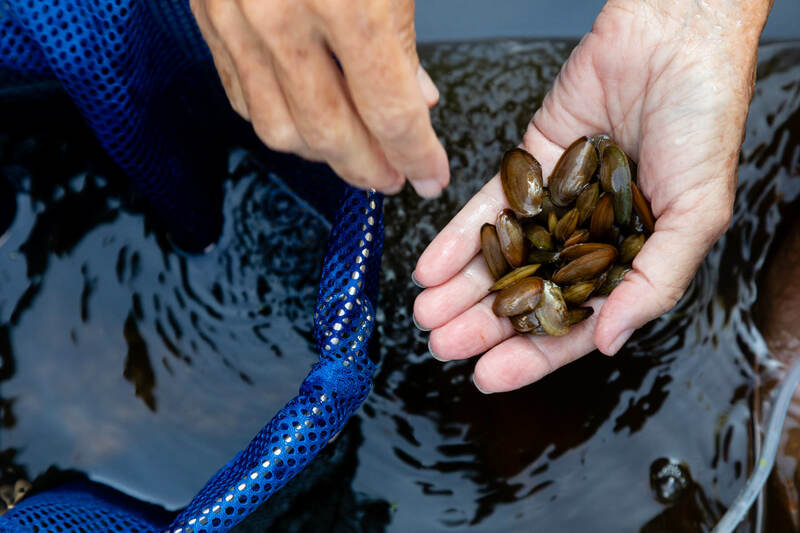 It was March of this year when Montero first took to the water, eventually finding five female mussels from two species—the eastern pondmussel and the alewife floater—laden with thousands of embryos. Those five mussels went to Harrison Lake National Fish Hatchery in Virginia, where the juvenile mussels grew faster than expected. Great day snorkeling for mussels found some gravid eastern pondmussels that I will take to the hatchery tomorrow. 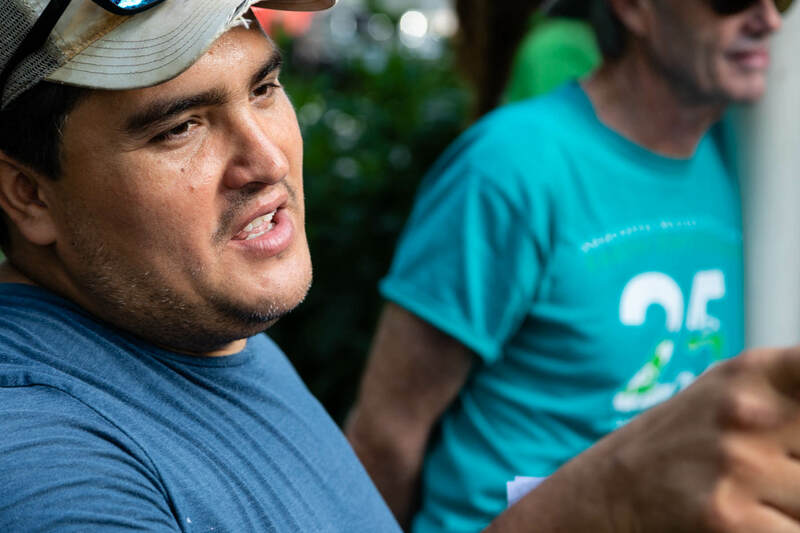 On a hot August day interspersed with rain, Montero and other staff at AWS headquarters in Bladensburg, Maryland, led volunteers in counting out 5,600 of the mussels belonging to the two species. He held up one of the alewife floaters, roughly an inch long. Montero showed pictures of the fleshy mantle that another species, the eastern lampmussel uses to attract its host. It resembles a minnow, lying just above the sand that hides the mussel's shell. When a fish is fooled into approaching the lure, the mussel will release thousands of larvae, known as glochidia, which will attach to the fish's gills. 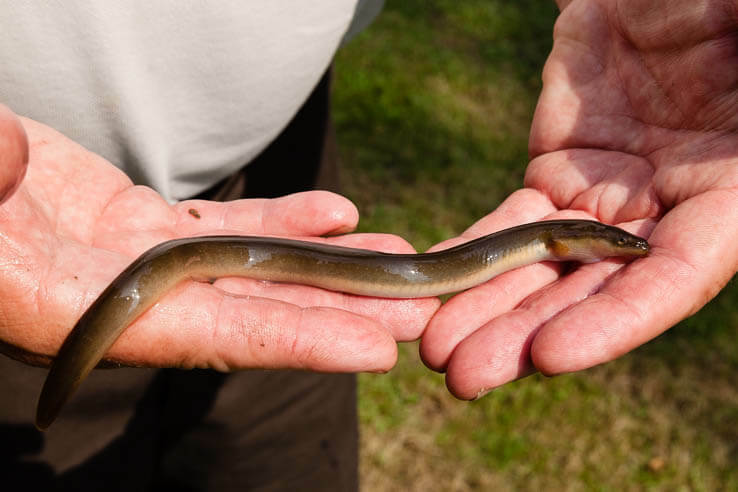 Both alewife floaters and eastern pondmussels are identified as species of greatest conservation need in D.C., according to the Department of Energy and Environment’s (DOEE) Wildlife Action Plan. AWS' project coincides with the celebration of the Year of the Anacostia, and is part of a larger effort to make the river swimmable and fishable by the year 2025. 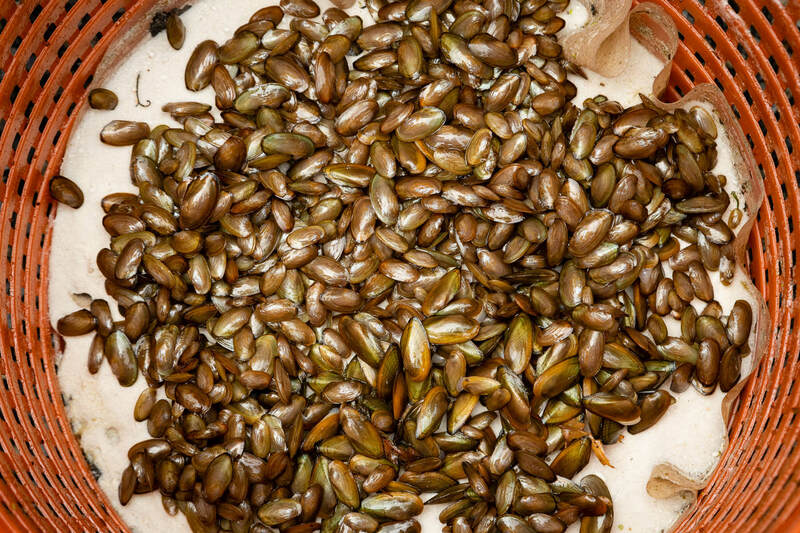 “We do recognize that [mussels] provide a lot of filtering capacity and that’s going to continue to help us restore water quality on the Anacostia and our other water bodies,” said Matt Robinson, an environmental protection specialist with DOEE. The group divided into teams to deliver the mussels to customized baskets filled with sand at seven sites along the Anacostia. The sites will be monitored to assess the survival of the mussels as well as their reproduction. The initial effort will determine where future reintroduction efforts may be focused in the river. 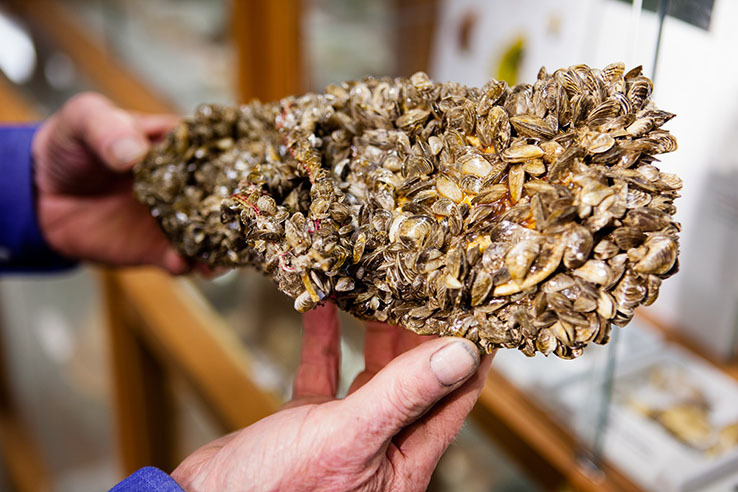 Montero said that AWS has also since "adopted" roughly 300 eastern lampmussels leftover from a separate USFWS study at five of the seven sites. The ongoing project was recently awarded a Five Star and Urban Waters grant for $33,000 from the National Fish and Wildlife Foundation, which will let AWS educate residents and students and increase local engagement in raising mussels through a "Mussels in the Classroom" program. A few years ago, Ashton helped conduct surveys that determined the Anacostia River is home to eight native species of mussels. “We did a lot of walking and grubbing around in the wetlands,” Ashton said. What the river has in its favor is the fact that tidal freshwater like the Anacostia is where you find the most diverse mussel communities in Maryland. Ashton also pointed out that the Anacostia is visited by migratory fish, and is one of the few places in the tidal freshwater with remnants of wetlands, which are where many of the mussels are currently found. “There's these little refuges in an otherwise kind of abused area, where mussels can populate and seed other areas,” Ashton said. Ashton said that other states like Virginia have had programs focused on rare mussels for over a decade. At the Harrison Lake hatchery, the U.S. Fish and Wildlife Service and the Virginia Department of Game and Inland Fisheries have partnered to propagate the James River spinymussel, a federally endangered species, as well as other mussels in the York River and other southern Bay tributaries. What’s different about the work in Maryland is the primary focus on benefits to the ecosystem, instead of species conservation. On the Anacostia, it’s just a matter of how large that ecosystem impact will be. "That's never really been done before." View more photos of the Anacostia Watershed Society's mussel project.